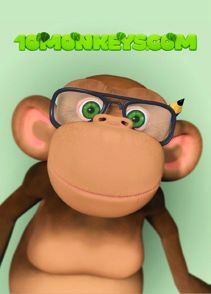 (www.10monkeys.com) has published a math teaching application that works alongside traditional teaching material. 10monkeys.com is a digital learning tool designed for nursery schools and primary schools that runs as a cloud service, and is designed to be used with computers and tablets, also encouraging home practice. Mobile Device Management (MDM), Mobile Content Management (MCM) and Mobile Application Management (MAM) solutions enable institutions to track all mobile assets, configure policies and settings, distribute apps and content, and secure access to school networks and resources. is a versatile and comprehensive online tool to facilitate student development of apps in education. Intuitive, step-by-step learning allows teachers to include app development in the ICT curriculum without the need for an in-depth understanding of the app creation. launched AutuVLeBooks, a new Web site that gives students access an eBook catalogue. The online platform lets students read via a computer or mobile device without additional software, search the full text of every eBook, and store their notes in the cloud or download to read offline. an online subscription service providing a host of activities, tools, downloadable resources for children ages 3 to 7, adds a ‘collaborative’ projects area. Now schools from all around the world can work together. Busy Projects allows children at home, within a single school, or in any number of schools to work collaboratively on shared projects, not just to show their own work or see what other children have been doing, but to respond to what they see by making fresh contributions to a continually growing joint undertaking. will launch SIMS Agora, a new online payment solution for schools which enables parents to pay for school meals, trips and uniforms securely online. SIMS Agora allows schools to provide a safe and secure way for parents, guardians, and even extended family members to make payments and purchase school items whether they are at home or in the office. feature new easy-to-use tools that teachers of mathematics will really appreciate. Designed for interactive whiteboards and handheld tablets, each program responds to on-screen touches to help students understand complex mathematics topics such as converting fractions and number facts strategies. advises and supports member schools, and local authorities / academy groups with a range of services including model risk assessments, low-cost technician training, a telephone & e-mail helpline in Science, Design & Technology and Art. will be showcasing the latest developments in communication, monitoring, and reporting solutions and an award-winning portfolio of parental notification systems for schools and local authorities. Launching at BETT is Looked After Call, a cost-saving solution designed to help local authorities accurately and securely monitor the school attendance of children in their care. will launch a range of new Clicker Apps to complement its literacy support tool at BETT 2013. Last year, the company launched Clicker 6, the latest version of its p primary word processor. The Clicker Apps have been designed to further enhance the learning experience by making key Clicker support features accessible for the very first time via the iPad. Used in thousands of education sites from Primary school through to FE colleges, CrazyTalk (www.reallusion.com/crazytalk/) places the power of puppetry in the palm of your hand with real-time facial animation. With the new Reallusion CrazyTalk7 auto-animation technology, students just need to import images, specify the facial feature points, and record their own voice, as it automatically generates lip-syncs to create 3D life-like, talking videos. will be launching DB Nursery, an assessment tool integrated with the new EYFS framework whilst providing accounts for parents and specialist online tools for children aged 2-5. Pupil accounts provide children with the perfect introduction to IT and a head start to life in primary school. wil launch “AssessmentMap,” a new pupil tracker package for primary schools that brings together all of the existing key performance measures for all pupils aged 3-11 in a single, easy to use solution. AssessmentMap is the first of a series of education solution products from EduMap designed to enable schools to derive more value from their data through applications. a leading global provider of learning technology will exhibit its free Workspace Connect App, a new way for teachers to create, plan and lead whole lessons from the freedom and flexibility of a mobile device. The new WorkSpace app allows teachers to create lesson plans by drawing on more than 50 annotation, teaching, and learning tools. will be introducing its new computer programming module for upper Key Stage 2 at BETT show 2013. Produced in partnership with Wolverhampton LA, the new module features a series of videos for pupils that demonstrate the history of computing, programming with Scratch and Kodu programming software and the process for game creation. The module comes fully equipped with teacher support videos and materials and provides an essential introduction to an ICT topic that will be unfamiliar to many teachers and pupils. is launching its new learning platform, built specifically for tablets and mobile devices. Teachers will be able to create and share resources, update lessons plan,s and mark homework on any device, anytime, anywhere. will showcase its latest digital education products for the primary and secondary (K-12) markets, including Science Fusion, an award-winning blended learning solution for elementary and secondary science; HMH Fuse, algebra curriculum for the iPad and Android,; and core reading program Journeys. is an online multimedia package for use in the mainstream primary classroom. The package assesses children’s understanding of language, enables teachers to prioritise children to refer to SLT, and provides comprehensive intervention packages matched to the individual child’s needs. has teamed up with Oscar winning, Wallace & Gromit creators, Aardman Animations, to launch software that gives children the chance to create their own animation classic in the classroom. Using sophisticated stop-frame technology, Kudlian and Bristol-based Aardman Animations have launched the ‘Animate IT!’ software range, including a mobile app version. Free downloadable resources, tips, and tutorial videos are available on www.animate-it.com. As a Fortinet Gold Partner, LAN2LAN (www.lan2lan.com) will highlight the network security threats and challenges that traditional port-based firewalls cannot defend. Fortinet’s multi- threat security systems provide a complete solution that addresses the full range of threats to educational campuses. is a motivational and interactive programme that supports the teaching and learning of English in schools, worldwide; backed up by mobile apps for the home market. Langeroo is now on Windows 8 and Windows RT, including the new Surface tablet from Microsoft. Langeroo is also now available on Windows Phone, including the new Nokia Lumia range, HTC 8X and Samsung ATIV. launches its Tactile Talk Technology printing process, as well as a series of picture, Braille, and large print books for the blind and partially sighted. The pioneering technology used transforms standard posters, books or even assessment charts into tactile Braille and sound-enabled material. Unlike present methods where the Braille has to be embossed and therefore incurs an extra cost, Tactile Talk Technology is designed to help bring the costs of published products down to a more accessible level. will be showcasing its cloud-based video publishing platform designed to help schools create a truly inclusive and engaging online learning experience, manage their own video library, and share their content securely with specified users. will showcase its new Meru Education-Grade (MEG) wireless platform. This platform, comprised of Meru’s Bring Your Own Device (BYOD) provisioning and guest management software, and Meru’s unique virtualized wireless LAN solutions, has been designed to help campus IT departments support academic goals to deliver learning-essential applications that work over a robust Wi-Fi network, despite the crush of BYOD. will show teachers, schools, and IT professionals how to make the most of technology and gaming for learning, both to improve educational outcomes and also help the UK maintain its position as an innovator in games development. Visitors can also able speak to members of the Microsoft Education team to discuss first-hand how schools are using gaming technology and initiatives, such as Windows 8, Bring Your Own Device, Office 365 for education, Windows in the Classroom, Kodu Cup and Shape the Future. announced the addition of UK Key Stages to content, assignments, and bundles. In addition, teachers are able to generate new Academic Reports based on those Key Stages and easily see which students are meeting learning goals and which may need extra help. The Lightspeed Systems BETT booth will feature speakers who will be doing presentations on mobile learning, web filtering, My Big Campus, and more. They will also hold product demonstrations throughout the conference — and give away iPads each day. is the new professional development subscription service for primary and secondary teachers, schools and their leaders, brought to you by the team behind Teachers TV. The Teachers Media service features a range of tools and resources to support CPD, including easy-to-search access to the Teachers TV video archive and regular additions of new exclusive videos, features and articles. the award-winning online learning application for foreign language vocabulary, is expanding its partnership with Hodder Education to include a range of cross- curricular resources, whilst also increasing its foreign languages offering. AVer Information (www.aver.com) will introduce their new PL50 platform Visualiser. The new model includes a host of new features including improved auto focus, 5.0 MP camera with HD1080P resolution, 240 x zoom (16 x optical, 15 x digital), large embedded lightbox; 329mm x 265mm, one-touch record to USB stick or SD card, and more. Audio Notetaker Version 3 (www.audionotetaker.com) not only enables the user to have a visual and interactive platform to record audio, it also offers one easy-to-access hub that stores slides, images, text, audio recordings, and other notes all together. An aid to many study skills such as note taking, speech analysis, presentation practice, it also provides a useful assessment and self-assessment tool for teachers and students alike. ELMO (www.elmoeurope.com) will be exhibiting its wide range of ICT education products including the ELMO Classroom solutions: L-12 visualiser, wireless slate and brand new student response system. In addition, ELMO will be debuting the new WIRELESS visual presenter MO-1W. a HDMI wireless visualiser. The Ergo Hybrid (www.ergo.co.uk) is Ergo’s first model in their new range of sleek Windows 8-compatible tablets. It has an 11.6” HD screen, fast start up, and laptop functionality with a docking statiovn, which includes a full QWERTY keyboard. At BETT 2013, Dell will be exhibiting a range of end-to-end Next Generation Learning solutions, designed to enable students reach their full potential. Dell will be showing its new Latitude 10 essentials configuration Windows 8 tablet, designed to promote collaboration and productivity, as well as its entire Dell Cloud Client Computing Solution range. Dell Executives and customers will attend to explain how Dell’s solutions improve teaching, learning, and empower students and educators alike. Hanshin’s (www.hanshingroup.com) “Four-Touch Board” is an interactive whiteboard system featuring a multi-touch system that allows up to four users to work together on the whiteboard. Users can simultaneously write, draw, and interact with digital contents on the whiteboard with their fingers. It also supports 3rd party software and teaching contents on common operating systems. Globisens (www.globisens.com) has launched the Labdisc data logger and GlobiLab data analysis software made for iPad, iPad 2, and 3rd generation iPad. The Labdisc data logger has built-in sensors to integrate with the iPad. The GlobiLab software for iPad wirelessly integrates between the Labdisc data logger and all 15 built-in sensors and the iPad. Globus (www.globusinfocom.com) will demonstrate its latest invention, Magic Studio. This integrated computing and display device and is highly portable, user friendly, energy efficient and environment friendly solution for the classroom. LapCabby (www.monarchuk.com) is a smart solution for storing, charging, and moving ICT equipment in the classroom. From 2013, the latest LapCabby product, the TabCabby Charge & Sync will be available. Using Cambrionix U16S technology, it allows the user to charge a variety of tablets and other USB-powered devices while also synchronising them all while they are within the TabCabby. iansyst (www.iansyst.com) will be showcasing the latest developments in assistive technology. Azzapt is a new cloud-based service that removes barriers to accessing books, learning materials and text on the move. iansyst will also be featuring a line-up of new products including CapturaTalk for Android—a literacy support tool that helps build reading, writing, and note taking skills; and the Earlbright eLearning Portal, specifically designed to work as a companion for students who receive one on one training from iansyst. Intec system aps’ (www.intecsystem.dk) Boxcharge trolleys can store, charge, and syncronise laptops, tablets, and handheld devices. The trolleys have added a built-in powersaving module that enables users to save energy and extend the lifetime of the batteries from the devices. Livescribe (www.livescribe.com), the award-winning smartpen company, will be launching its new wi-fi smartpen, Sky. Livescribe smartpens allow educators and students to easily capture written and verbal instruction. Livescribe smartpens link what is being written on paper with real-time audio recording. When the smartpen is connected to a PC or Mac, the notebook pages are uploaded as an interactive PDF with sound. This interactive “pencast” can be shared online enabling students to revisit a teacher’s notes and explanations as many times as needed to build their comprehension. The new Optelec Compact 7 HD (www.optelec.co.uk) is the latest handheld electronic video magnifier designed for students with limited vision. Featuring the latest in high-definition technology, the Compact 7 HD provides powerful magnification (2-24x), a large 7-inch widescreen, offers more words per line than many other portable devices available. PASCO’s SPARKvue HD for iPad Pro (www.pasco.com) is a completely integrated wireless datalogging solution for iPad, with the full functionality of the SPARKvue desktop application. More than sensor-based data collection and analysis, SPARKvue HD is a science learning environment, where teachers can customise learning paths, assessments and provide a guided enquiry experience through PASCO’s unique SPARKlab interactive lab activities. Promethean will continue to build upon its suite of collaborative learning solutions. In its Learning Productivity Studio, the company will demonstrate new applications of how software enables full integration of multiple devices in the classroom. Teachers and students will be able to use intuitive movements to share documents, for example, from an iPad to an ActivBoard or to an ActivTable or tablet. In addition to the new collaborative problem solving solution, Promethean will launch upgrades to its ActivTable, ActivEngage and ActivInspire software, giving users additional functionality and capabilities. Tripleplay Services (www.tripleplay-services.com) is launching a new product to offer an entry-level alternative to its existing digital signage solution, TripleSign. TripleLite Electronic Posters is a stripped-back digital signage solution for schools and colleges, allowing a user to create unique and impacting displays quickly and simply. Through utilisation of the TripleLite product, any organisation can have their messages displayed and circulated in minutes rather than hours or days. Traka (www.traka.com) provides intelligent locker systems that enable schools to securely store and distribute devices such as laptops and iPad. Visitors can take a look at its new intelligent iPad Lockers, which securely store and provide access control to individual devices which can be self- issued by pupils while maintaining a full audit of usage. The company will also be previewing a new intelligent storage unit so multiple devices can be secured behind one locker door, rather than each device having its own door. SMART Technologies will display a fully integrated interactive projector that is touch-enabled. The SMART LightRaise 60wi interactive projector creates a touch- enabled interactive learning space, allowing two students to collaborate simultaneously with either a finger or a pen. And, like all interactive displays from SMART, the LightRaise 60wi includes SMART Notebook collaborative learning software and access to the SMART Exchange Web site, which features more than 60,000 digital resources.